The Judicial Academy is a public law corporation created in November, 1994, by parliamentary Act Nº 19,346 in response to a long-standing concern of the Judiciary in the sense of having a specially dedicated institution for the training of its members, in accordance to their specific requirements and expectations. The Academy is an institution concerned about the initial training for lawyers who want to become judges, the training of judges, court managers and staff of the Judiciary, and about the accomplishment and increase of the knowledge, skills, dexterities, and basic criteria needed for an adequate exercise of the judicial task. To pursue its mission, the Academy has an Initial Training Program (for applicants to the Judiciary), a Continuous Training Program (for members of the Judiciary) and a legal required training program for candidates to be justices at the High Courts (Habilitation Program). 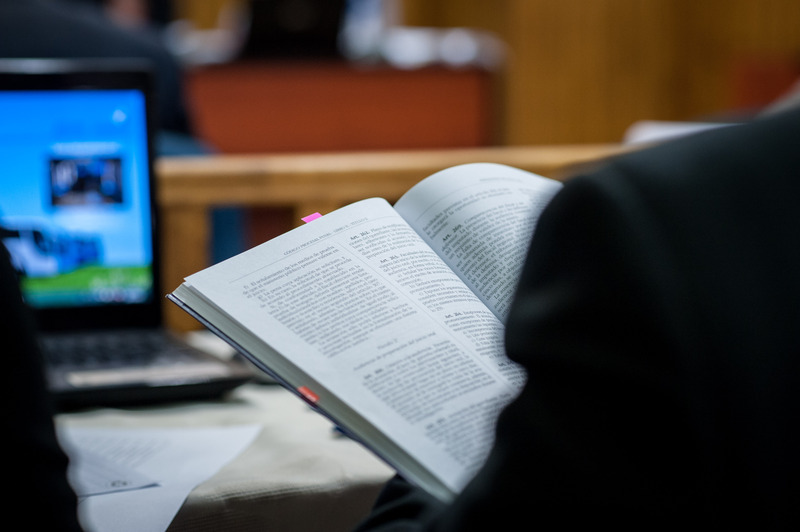 Additionally, the Academy collaborates to several institutions which can contribute to the accomplishment of their tasks or to those it can bring knowledge and expertise in judicial education. Copyright © 2016. Academia Judicial.